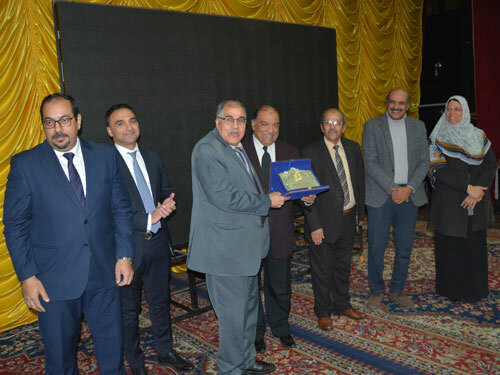 Prof. Ashraf Abd El-Hafeez, Acting President of Fayoum University, accompanied byProf. 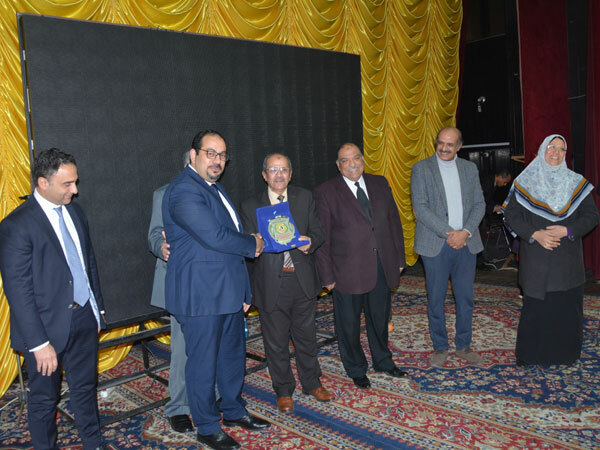 Mohamed Essa, Vice President for Postgraduate Studies and research Affairs, and Prof. Khaled Atallah, Vice President for Education and Students Affairs, witnessedthe second annual celebration of university hospitals on Sunday, 17/3/2019.The celebration was attended also Pr. Khaled Al Khashab, Dean of Faculty of Medicine, Vice deans of the faculty,Dr. 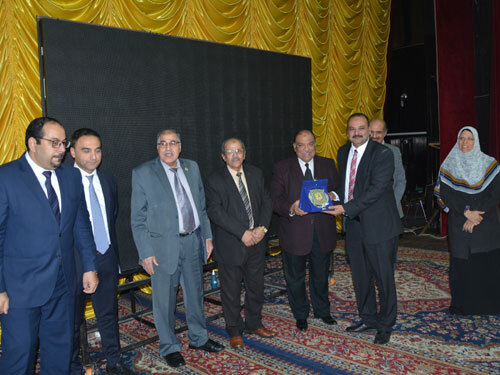 Mohamed Safaa El-Din, General Director of University Hospitals, Dr. Essam Ali Hassan, Director of Internal Medicine University Hospital, and doctors and administrators of the University Hospitals. 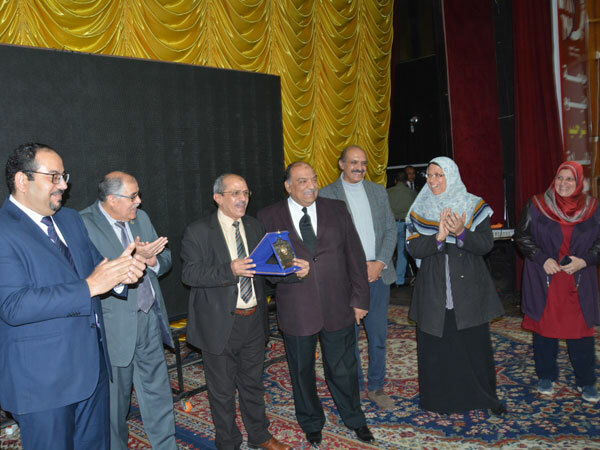 The ceremony began with the screening of a documentary film about the achievements of university hospitals in all specialties. The Film reviewed the center of rheumatism and therapeutic rehabilitation, Nafisa Al-Hosary hospital for gastrointestinal and liver system (80 beds are under constructions), general and specialized surgery hospital (300 beds). In which the total number of surgical operations was increased to 10,000 in 2017 and the number is expected to increase to 13,000 after the opening of pediatric surgeries and the expansion of operations, in addition to (300 beds) in the internal medicine hospital, Mustapha Hassan university hospital (200 bedsare under constructions), intensive care and critical cases where the capacity increased from 92 to 175 and the expansion of disciplines to include the care of brain trauma and the care of chest diseases, liver and kidney care and intermediate care in each hospital, in addition to the outpatient review and internal departments and emergency operations. 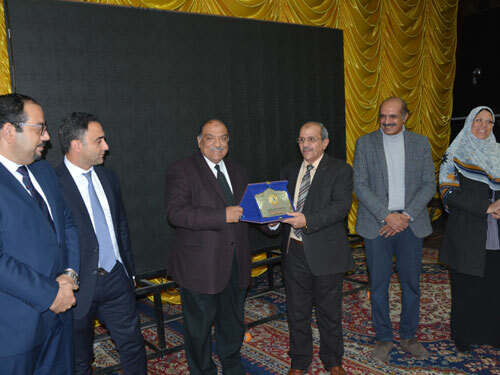 During the ceremony, the administration of Faculty of Medicine honored the leaders of the university, the former deans and agents of the Faculty and heads of departments and administrators at the university hospitals. At the end of the ceremony, the University's Coral crew of students presented a number of different songs.